I was getting my jollies reading today's Bike SnobNYC and the comments and amidst the comments was the news that Sheldon Brown has died. I think most any interested cyclist has referred to Sheldon's extremely good site on cycling gear, technique and history. He was very engaged in the community and even commented on my blog a couple of times, which made me feel honored. I never met the guy, never talked to him personally, exchanged emails just a couple of times, but his loss leaves a hole in the cycling community. He'll be missed. 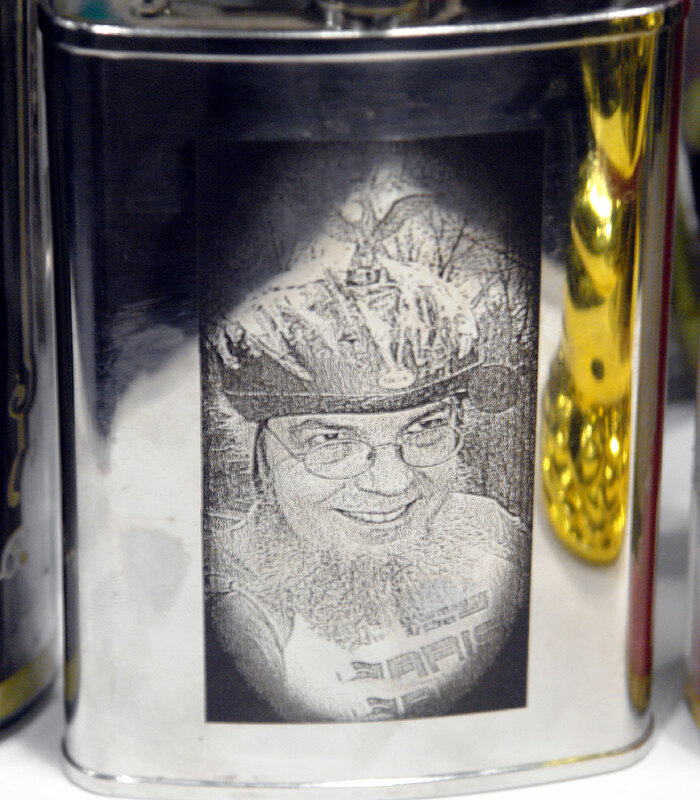 This is an image of Sheldon that Ahearne had engraved on one of their flasks as part of a tribute memorial to him at the North American Handmade Bicycle Show in Portland. Matthew Simmons of Simmons International will address the Minnesota legislature on Monday, February 4 at 1:00 p.m., Room 200 of the State Office Building. He will speak to a joint meeting of the Senate Committee on Energy, Utilities, Technology and Communications and House Energy Finance and Policy Division. His visit is sponsored by Representative Bill Hilty in an effort to move forward a resolution directing the state to plan to meet the challenges of peak oil. The meeting is open to the public and we are encouraged to attend and show legislators they are concerned about this issue. I like Matt Simmons and have a link to his website over on the right. If you read the Peak Oil sites, you'll find all kinds of attitudes and opinion, some of which can give you the willies. Simmons, an investment banker with long experience specializing in the energy industry, brings a voice that I find informed and reality-based. Not to say that he's reassuring; he thinks the peak may have hit in mid-2005 and we're in the early stages of the production plateau/rising demand with the resulting increase in energy prices. Also, he has been warning about peak natural gas, which is alarming to me since my house is heated with gas. 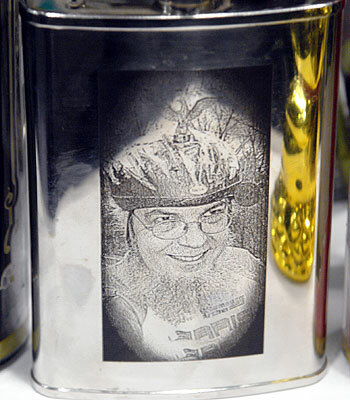 Simmons has links to many presentations on his site. I particularly like the perspective from his Presentation to his Harvard Business School 40th Reunion (like I said, he's real mainstream)on the history of the energy industry these last four decades. Anyway, this meeting is open to the public. There are many reasons to ride bicycles, among them their supreme efficiency. They are a simple answer to many complicated problems. If you want to hear about one of these complicated problems from an informed expert, this meeting would be a good one to attend. Having said that, I'm not sure I'll make it, having just been gone three days on a business trip (on which, in an apparent effort to speed up the Peak Oil phenomenon, I was "upgraded" to a Ford Expedition for no additional charge, what a bloated cow of a vehicle that is!) and next week I'm gone after Tuesday, so time is short at work, and I may not make it.